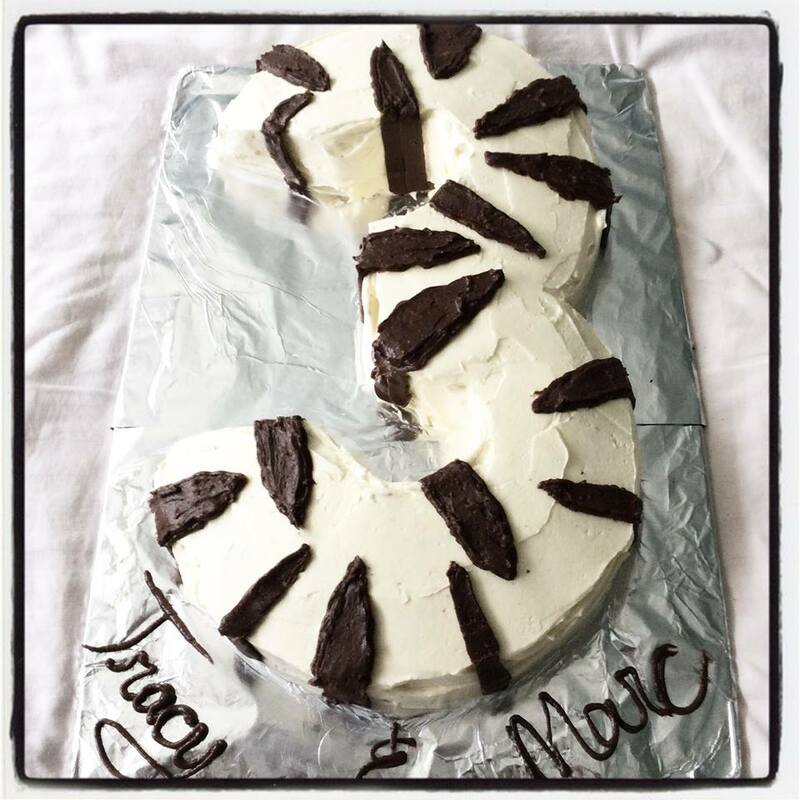 Everyone needs a number 3 cake at some point in his life. Third birthday party, third wedding anniversary, turning 30 and the list goes on. Bake and remove your cake from the mould as usual. You will need 2 round cakes. I have used 22 cm round. Stack both cakes on top of each other. With your ruler make a few marks with a office knife at 7 cm from the border (probably 4-5 cm if you are using a smaller mould). Cut a round in the middle using the office knife. By cutting both cake at the same time, you will be sure to have 2 identical cakes. 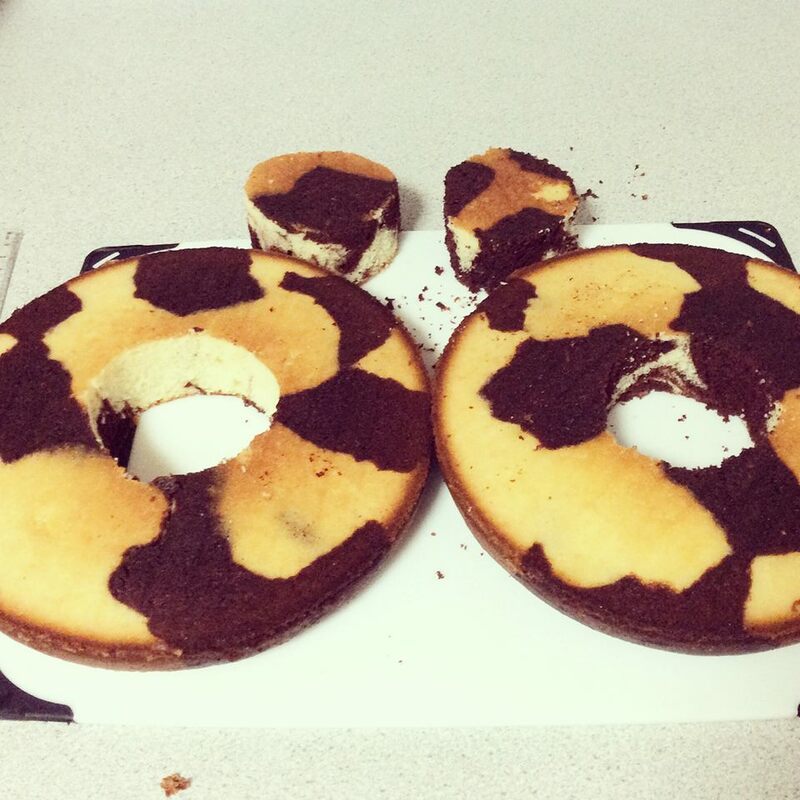 Remove the middle of each cake. 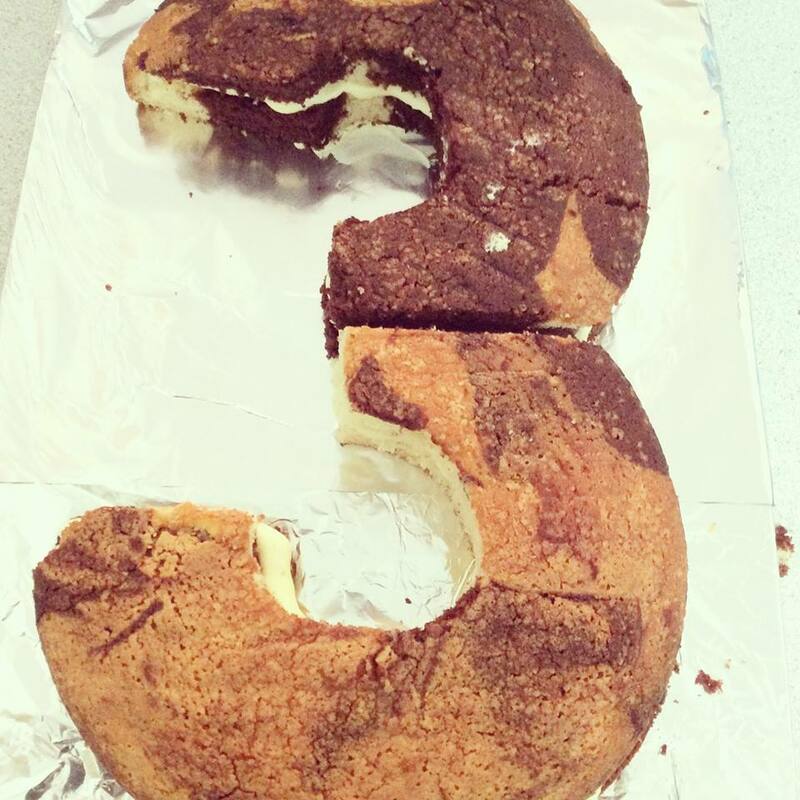 Now, the important bit: cutting the cake into a 3. Use a bread knife. 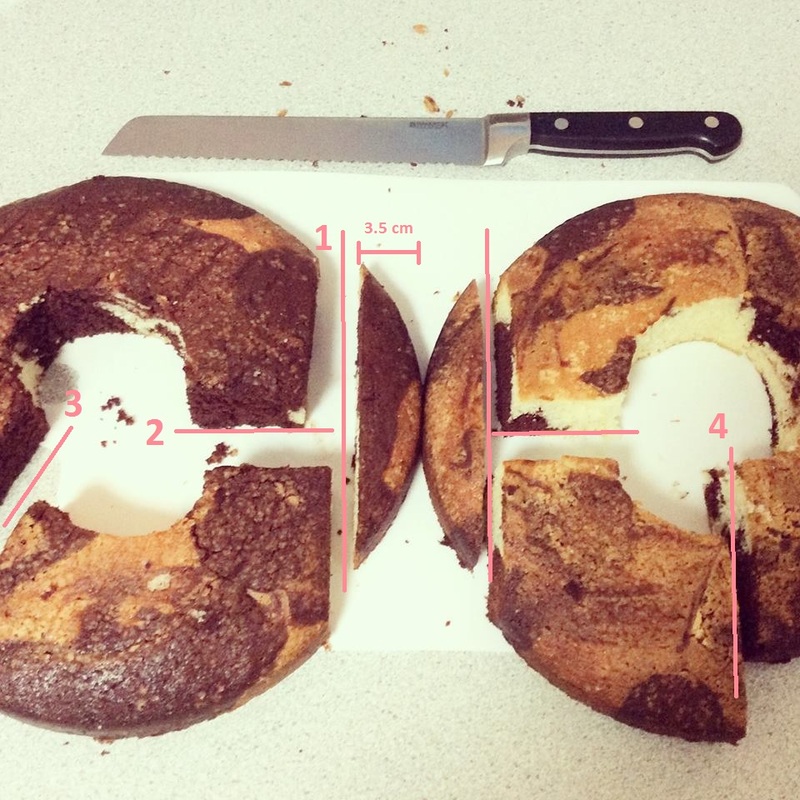 You need to cut 3.5 cm off each cake (cut #1). Then cut the middle section (cut #2) from the previous cut. 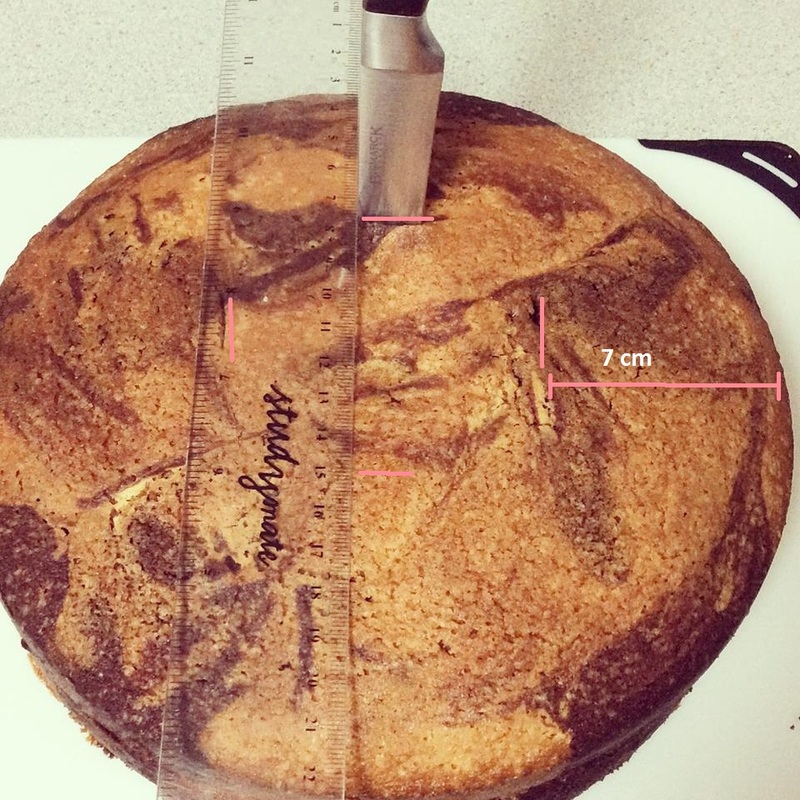 Cut the top of one cake in a 45ish degrees angle (cut#3). Finally cut the lower section at a 90 degrees angle (cut #4). If you want you can cut the cake horizontally with a bread knife to put some filling in the middle. It’s time to assemble your cake!